The Minnesota Rep.’s team prepared a TV commercial lambasting her opponent’s (alleged) support for taxes on beer, corn dogs, and deep-fried bacon, then they blasted the ad out to people at the Minnesota State Fair as it was happening. By now, you know that political candidates are tossing ads onto mobile devices by the truckload. And you probably also know that mobile advertising gives campaigns control over the geographic reach of their ads, so that, for example, if you’re a Republican trying to get out the vote in Texas, you can configure your campaign so that the ad appears on phones in Dallas and Houston but not in Austin. But some campaigns are getting even more extreme in how they deploy ads to mobile devices by using a tactic that strategist Eric Frenchman calls “hyper-local targeting” or a “mobile surge”–candidates configure ad campaigns around specific events. The most creative use of that tactic probably was an ad Frenchman orchestrated for Minnesota Congresswoman Michele Bachmann last summer. 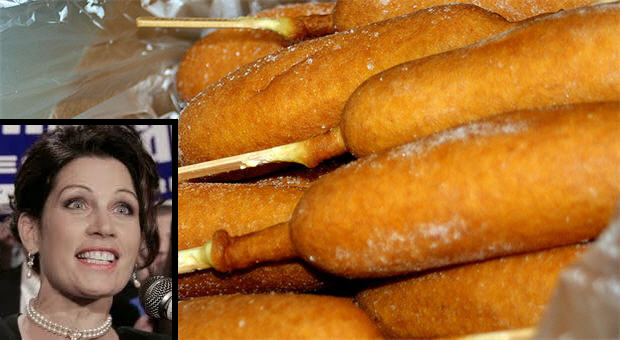 Bachmann’s team had prepared a television commercial lambasting her opponent’s (alleged) support for taxes on beer, corn dogs, and deep-fried bacon. (“Alleged” because the accuracy of the claims around the corn dog and bacon taxes has since been challenged.) The ad was scheduled to run while the Minnesota State Fair was taking place. Frenchman, who works for Connell Donatelli, realized it would be amazingly powerful to get that ad in front of fairgoers, while they were at the fair itself. So they tossed the ad onto YouTube and created a mobile ad that was targeted at phones located within a 10 kilometer-radius of the fairgrounds. The ad ran for the duration of the fair. The results: 61% of views of the video views came from mobile devices. Frenchman says he has used mobile surges around other events as well, such as when the President goes to a certain city or town. Though he declined to provide details, citing client confidentiality, Frenchman, who works for right-leaning candidates, said the ads usually are calls to action. While the President is in town, for example, an ad might point mobile users loctated in the area around the president’s visit to a YouTube ad asking for their support for the right-leaning candidate. Frenchman calls the tactics “wildly successful.” “The click-through rates are much higher than you would get on a desktop campaign,” he says, “and the cost-per-click is way lower than with desktop advertising.” Plus, he says, the geo-targeting is sometimes more accurate. An ISP, which provides a desktop’s location, might be tens of miles away from the actual user, making geo-targeting imprecise. But because of how mobile phone locations are determined, a mobile device is usually pretty close to where it says it is. “I wouldn’t be shocked if in two years, there were more impressions on mobile devices than on desktop devices,” Frenchman says.